TSPTR Snoopy Scorpio t-shirt in white. Cotton tee with Snoopy picture and Scorpio dates print in water-based ink. 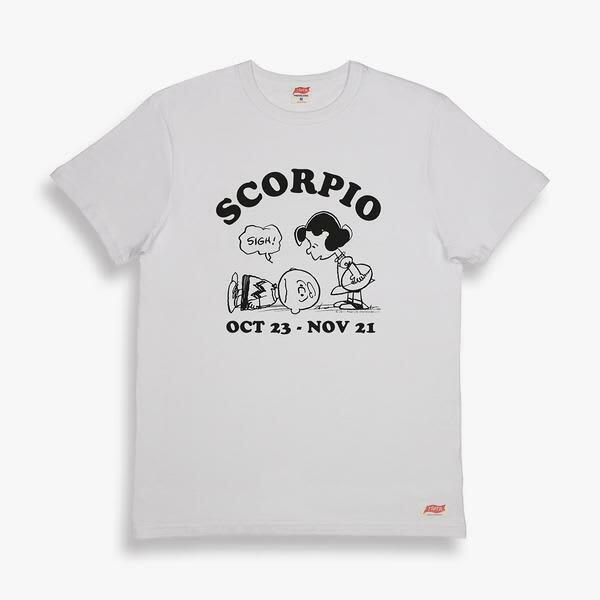 Design is a replica of the original 1970s Peanuts Zodiac clothing by San Francisco's Determined Productions. Nola in Brighton, United Kingdom.